Sincere effort, and skilled execution are at the forefront of what we do, with master craftsmen and women who are truly artisans of their trade. 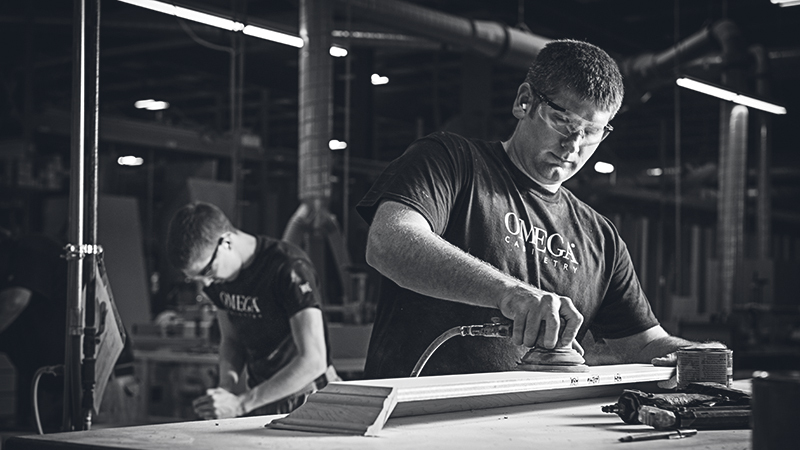 We build beautiful, quality cabinets day in and day out, with the intention that you’ll love your finished product and enjoy the everyday excellence of Omega. Selecting the best tool for a task doesn't always mean choosing high technology. At Omega, we match device to assignment, knowing that often, time-honored methods are best.